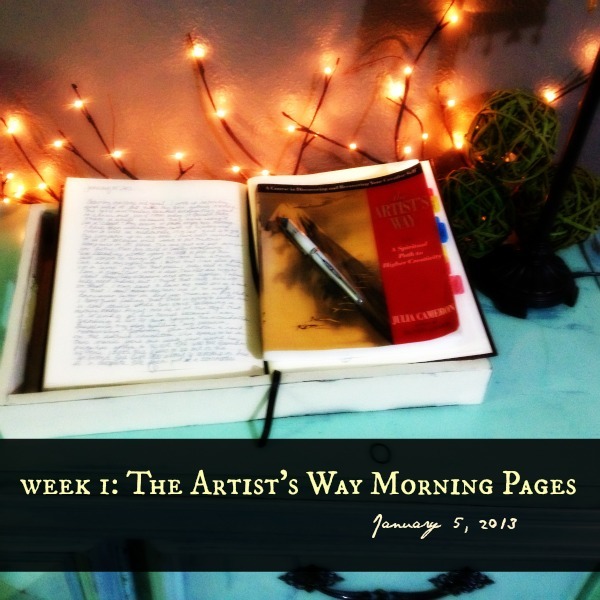 Although I am only five days into my Morning Pages, I have noticed a gradual shift occur. The next morning I continued with my pages as I had committed to do for the year still with doubts that I could keep up with everything that I had added to my already overflowing plate. I complained just as I always do when beginning. I also realized some by that second day that I had the same things on my mind that hadn’t been resolved for three months. For my meditation, I chose a guided meditation called Positive Under Pressure by Alkimea http://www.alkimea.co/1181-2/ . This meditation helped me to put my stress in perspective and showed me how my own thoughts were adding to the pressure that I was feeling (and of course the meditation also helped me to take on fresh energy). By the end of the week I began reflecting on the shifts that I had noticed. I got ready earlier each morning and felt prepared for my days. The biggest change that I noticed was how focused I had been on self-care. Like many creatives, when I am in “the zone,” just about nothing else besides my creativity seems to matter (not even my hair!). I felt pretty this week because I was dressed to my shoes before logging on to my page each morning. It felt good! This entry was posted in Morning Pages and tagged artist, creative, journaling, self-care. Bookmark the permalink. Interesting. You have me thinking of my morning routine (or lack of it) and the mad dashes I make all over the place. Finding time to meditate is likely beyond me, but perhaps starting earlier, going to bed earlier and having the luxury of actually pacing myself, sounds good. I’m glad this is working for you and thanks for sharing the possibilities. It is an wonderful exercise in focus.